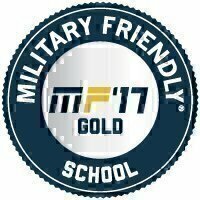 Military Friendly® Schools are leading institutions that have earned the elite Military Friendly® designation. 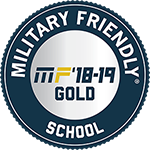 New for 2017, our Military Friendly® Awards provide a more competitive view of how an institution is performing. Gold Award winners have programs that scored within 20 percent of the 10th-ranked institution within a given category. For general questions, please contact the Military Friendly® team at survey@victorymedia.com. Please note: Award winners will be published on militaryfriendly.com on December 8, and will be printed in the December issue of G.I. Jobs® or Guide to Military Friendly® Employers. We ask that award winners not announce their award until after we make our official announcement on December 8. We have worked tirelessly to create and support our federally trademarked Military Friendly® brand name and designations. Please take a moment to review our Branding Guide for Military Friendly® Schools to learn how to properly use our intellectual property. Military Friendly® marks include, but are not limited to, the Military Friendly® name, logo, crest, and any word, phrase, image, or other designation that identifies the source or origin of any of our Military Friendly® products.